The Mother Hips are a rock band based in the San Francisco Bay Area. Their music shifted direction around 1997, with shorter, radio-friendly songs, instead of longer multiple sectioned songs. They started to get into basic country-style songwriting, but it didn't fit with drummer Mike Wofchuck's style, so they replaced him with John Hofer, formerly of the Freewheelers. In 1996, the band members moved out of the Chestnut Street house in Chico, to the San Francisco Bay Area, where they are currently based. They recorded the stripped-down Later Days album and self-released it in May 1998. They continued playing frequently, focusing mostly on California cities, with occasional jaunts to Utah or the Pacific Northwest. They self-recorded another album, the more pop-oriented Green Hills of Earth. Indie label Future Farmer liked the album and released it, but, again, the album did not promote the band to their desired popularity. Bassist Isaac Parsons left the band in March 2002, to spend more time with his son. Shortly after, multi-instrumentalist Paul Hoaglin, co-producer of Back To The Grotto and Part Timer Goes Full, stepped into Parsons' place. Later that same year Greg Loiacono, lead guitarist, decided he too needed a break, and the band went on indefinite hiatus after two shows at Slim's in San Francisco in February 2003. Toward the end of 2004 the Mother Hips reunited and started playing shows again. They recorded an EP, Red Tandy, followed by a full length album, Kiss the Crystal Flake, released in April 2007. The song "Time We Had" from the album was in November 2007 featured in the music video game Rock Band, and two songs, "Red Tandy" and "Time Sick Son of a Grizzly Bear" were made available as Downloadable Content for the game on the week of April 29, 2008. 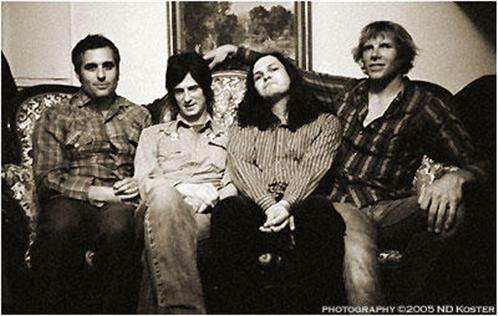 The band released their seventh album, Pacific Dust, in October 2009 to great acclaim, including highlights "White Falcon Fuzz" and "Third Floor Story". The album was recorded at Mission Bells Studio in San Francisco with co-producer/engineer David Simon-Baker. Bassist Hoaglin departed the band and was replaced in March 2011 by former Frank Zappa/Fear bassist Scott Thunes. Hoaglin participated in some sessions for the group's forthcoming album in August 2011, however. The Mother Hips released an archival 4 CD set compilation celebrating 20 years of music together September 13, 2011 called Days of Sun and Grass. On May 14, 2013, the band announced that their new album, 'Behind Beyond' would be released on July 9, 2013.